By K.C. Heavy Duty Scale Truck Parts. Includes cab, visor, firewall, seats, dash, hood, fenders, headlights, grill, radiator, bumper, grill guard, photo etch emblems and instruction sheet. 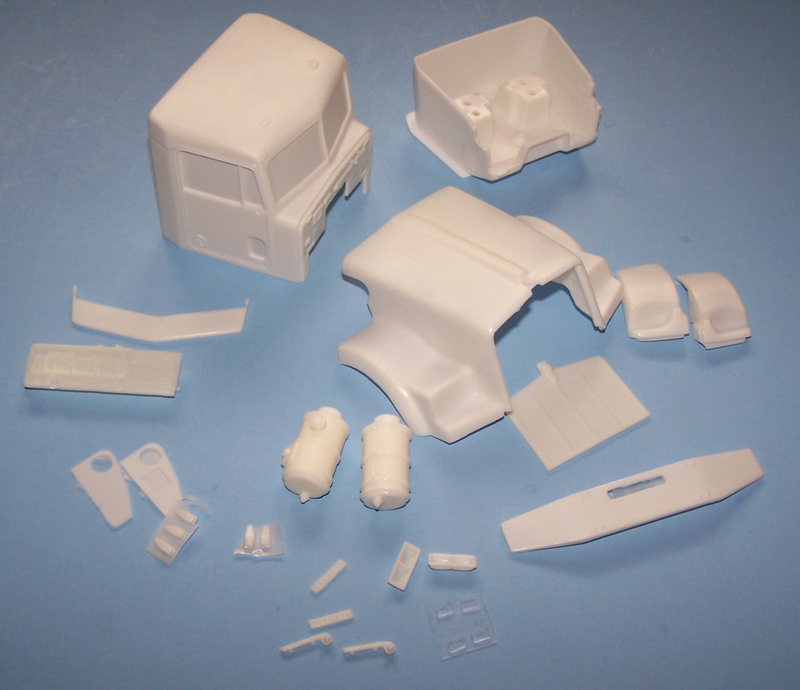 Use AMT Mack R model kit for a donor. Includes cab, bumper, grill, interior tub, dash and seats. 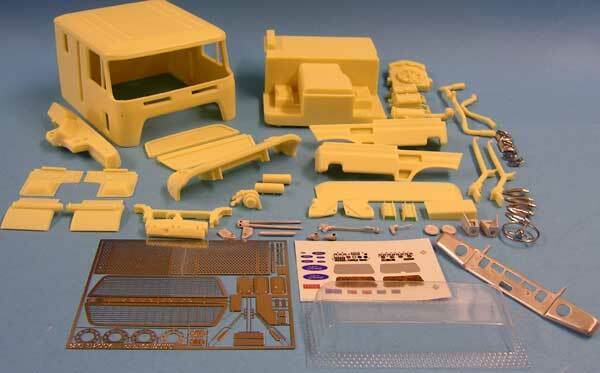 Use AMT Ford Louisville or Ertl S series International kits as donors. Includes body, interior tub, seats, grill and front bumper. 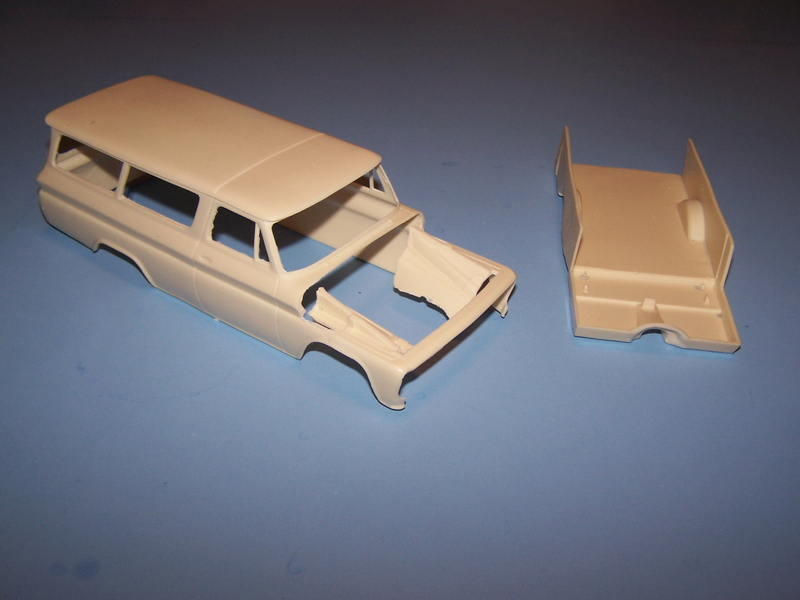 Use Revell 1964 Chevy pick up kit for donor. Includes cab, interior tub and bunk, right hand drive dash, step inserts and visor. 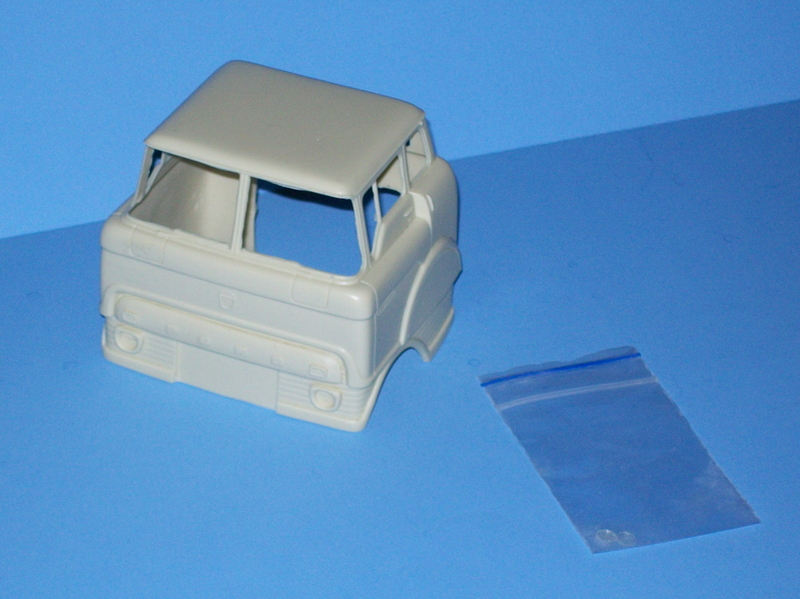 Resin cast cab conversion kit. Includes cab, interior with bunk, right hand drive dash, grill, headlights and visor. 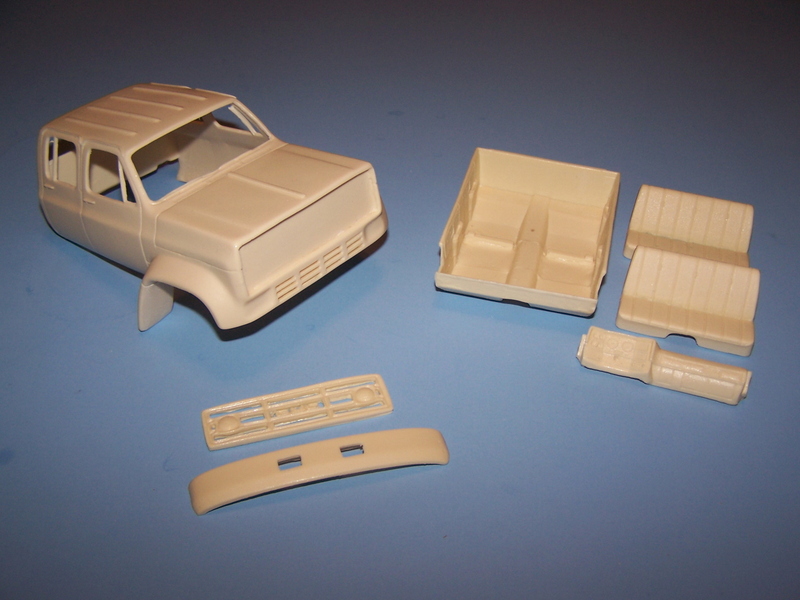 Use any AMT/Ertl cab-over kit as a donor. 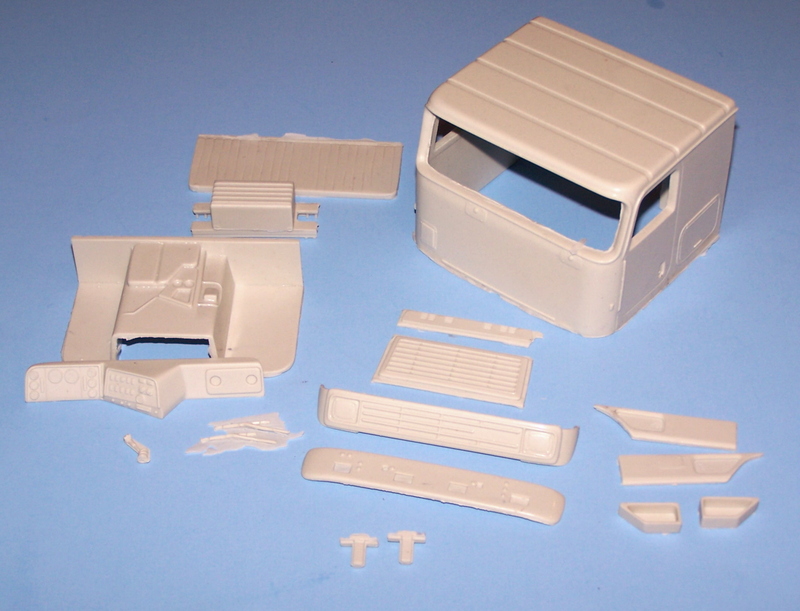 Includes cab and headlights, use Ford C model and any chassis with a straight frame to complete. Available from 1961 to early 1966 with both Ford Super duty gasoline and Cummins Diesel engines and G.V.W. range designations of 850, 950 and 1000. Tandem and single rear axles were offered as well. Model designations followed standard Ford practice i.e. HDT950 (H model, Diesel, tandem, 950 G.V.W. range), drop the D for gasoline engines and the T for single drive axle. Rubber fender extensions used on some trucks with flotation front tires. 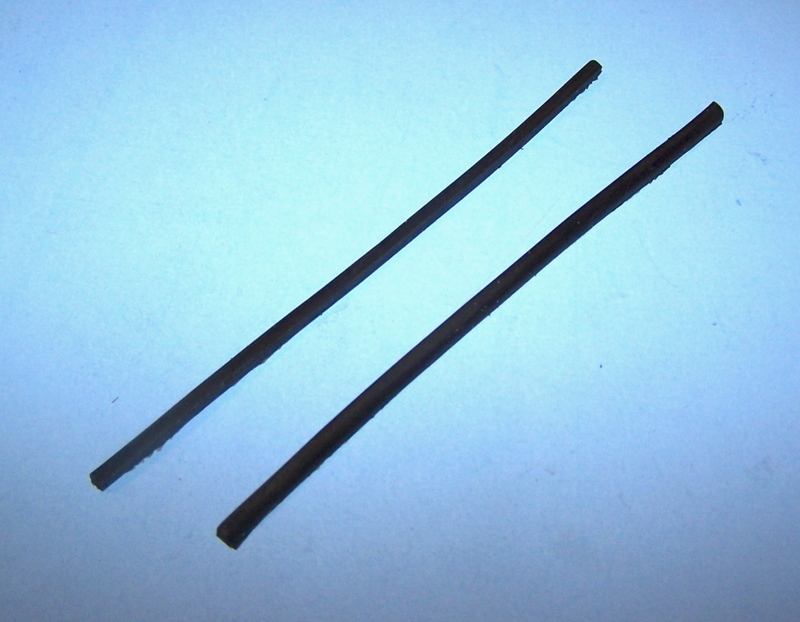 3.5mm wide x 125mm long, set of 2. Picture is of in progress master. Includes body, hood, interior tub w/seats and dash, early and late grills and frame. 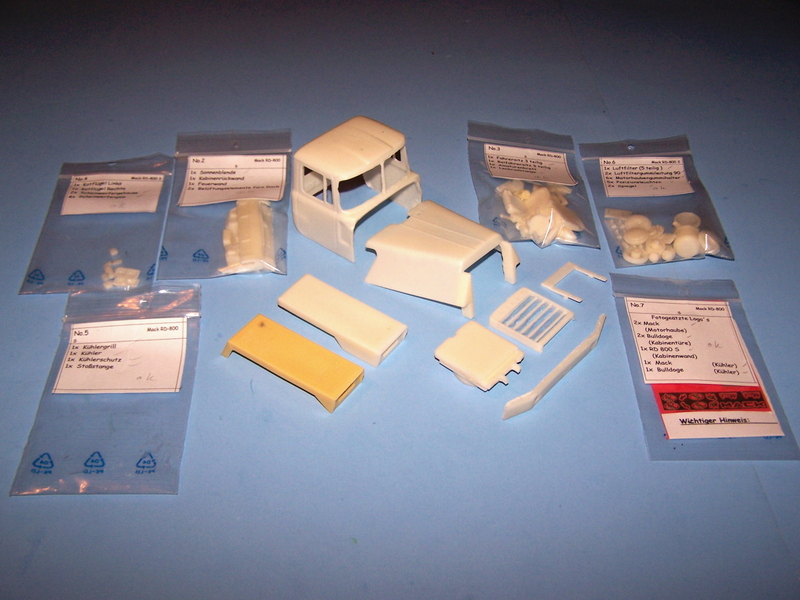 Resin cast bus kit with 56 Ford front end. Includes body with front sheet metal, hood, chrome plated grill, hood, interior floor, chassis, seats, wheels, tires and hubs. Includes cab, visor, cab mounts, complete interior, hood, fenders, headlights, grill, radiator, oil field bumper, air filters, luberfiner oil filters, photo etch emblems and instruction sheet. Use AMT/Ertl Paystar or any 1/25th kit with straight frame rails and heavy suspension. Includes cab, with upper and lower grill, lower cab panels and step pockets, bumper, cab mounts, interior with dash and sleeper compartment curtain, shifter and windshield wipers. 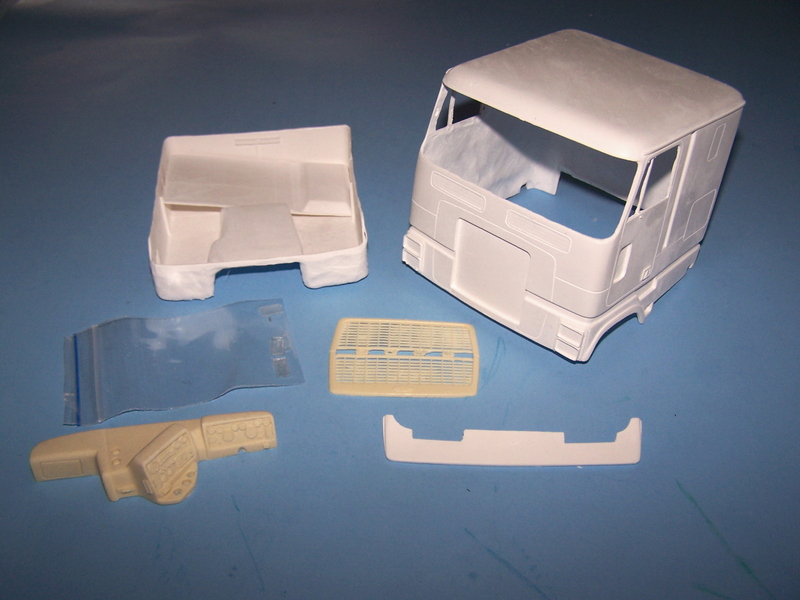 Use AMT cab over kits for donors. By KFS. More on the way soon! 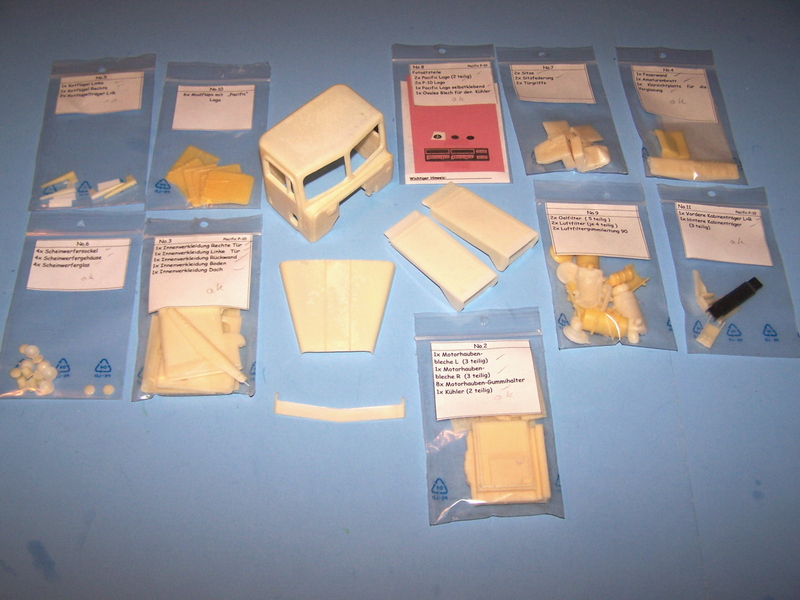 Complete kit to convert Italeri U.S. truck kits with generic frames to a White Road Commander II sleeper cab. 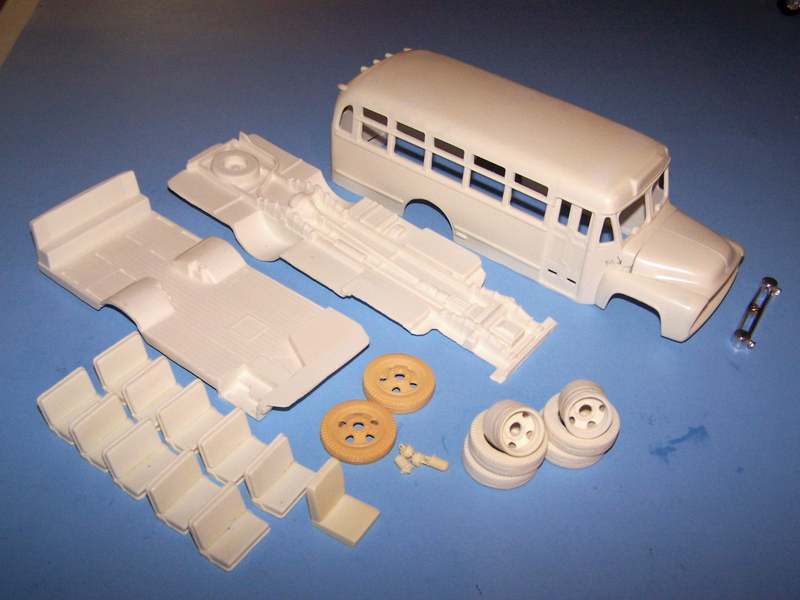 Includes 33 resin, 26 white metal and 39 photo etched parts along with headlights all windows and full instruction sheet. See part number TQ44DEP to reserve one of these kits, we will only have a limited amount available!!! 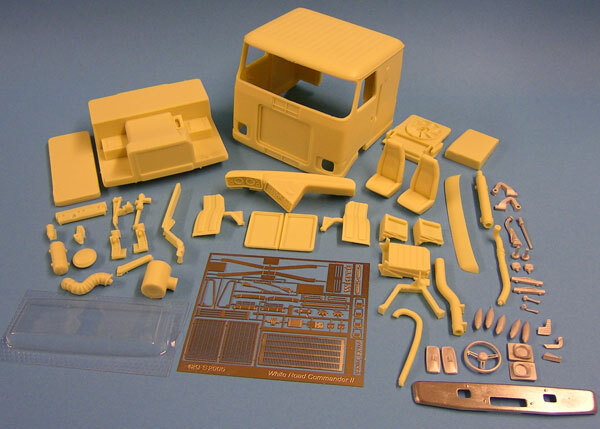 Complete kit to convert Italeri U.S. truck kits with generic frames to a Ford CL-9000 110" sleeper cab. Includes 46 resin, 24 white metal and 25 photo etched parts along with headlights all windows, both red and black sweep style decals and full instruction sheet. Includes cab with standard doors, cab extensions, visor, interior, hood, quarter fenders, grill, bumper, hinges, headlights, emblems, air cleaners and instruction sheet. 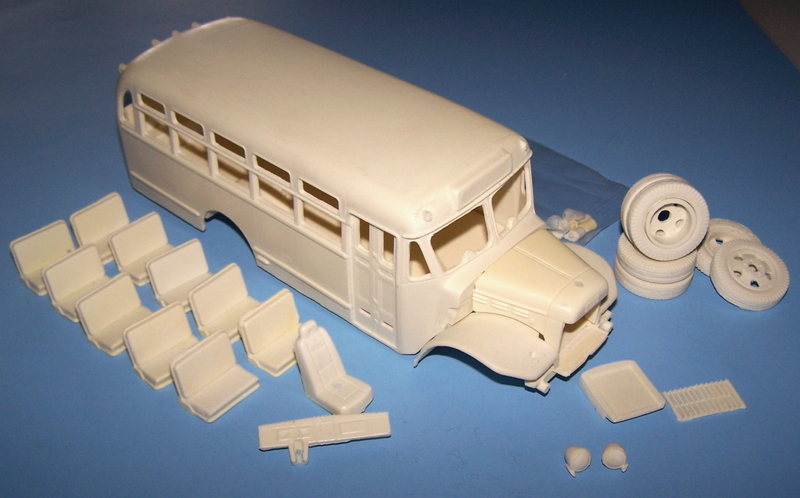 Resin cast bus kit with 46 Dodge Power Wagon front end. Includes body with front sheet metal, hood, grill, hood, interior floor, chassis, seats, wheels, tires and hubs.